Make a Homebrew. Let Us Help. Build, store and share your recipes in an online, managed platform made especially for homebrew enthusiasts. Join a growing community of hobbyists across the world and gain access to their library of curated homebrew recipes. Brewing is easy, and your tools should be, too. 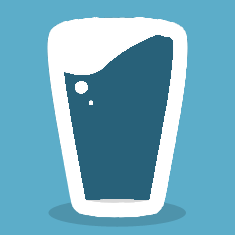 DraughtCraft is hassle-free software targeted expressly towards homebrewers. Brewing isn't complicated. Making your own recipes doesn't have to be, either. Draughtcraft is hassle-free software built for hobbyists, not professional breweries. Draughtcraft is totally free during its beta period. Pricing for optional premium accounts will be announced soon. Do I need to sign up for an account to build recipes? No, but it's free to sign up at any time and take advantage of additional tools available to members only. But Draughtcraft doesn't let me __________! Sometimes less is more. Draughtcraft strives to provide an effortless platform for tinkering with, cataloguing, and sharing your favorite recipes. If you've got an interesting idea for a feature not currently offered, submit it to our feedback forum.